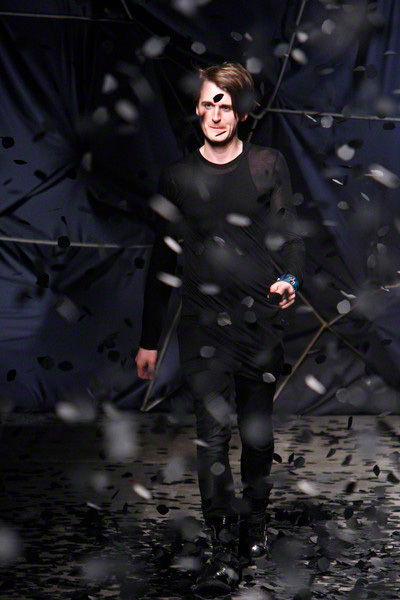 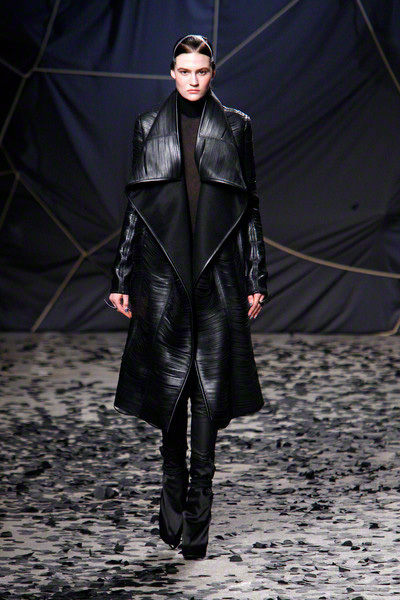 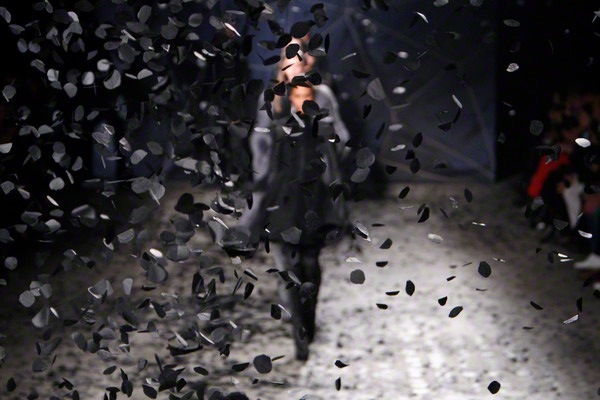 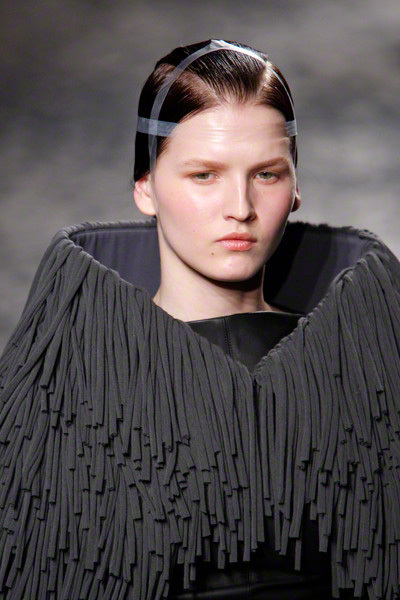 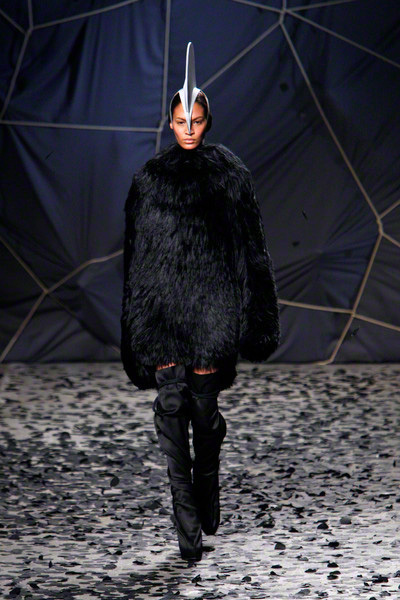 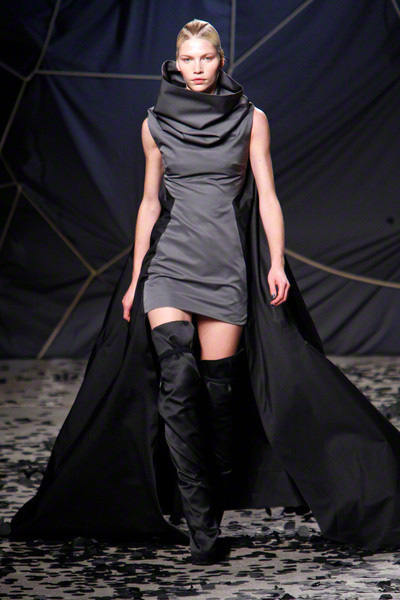 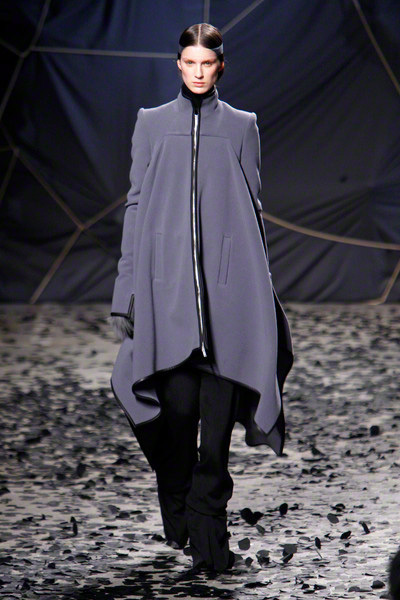 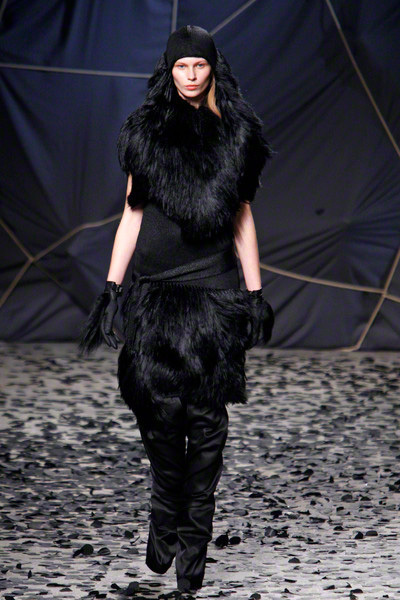 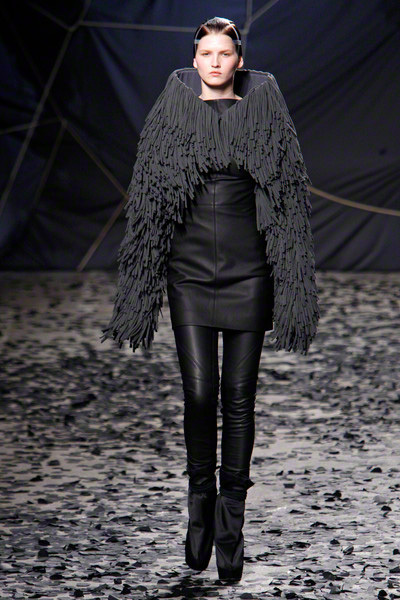 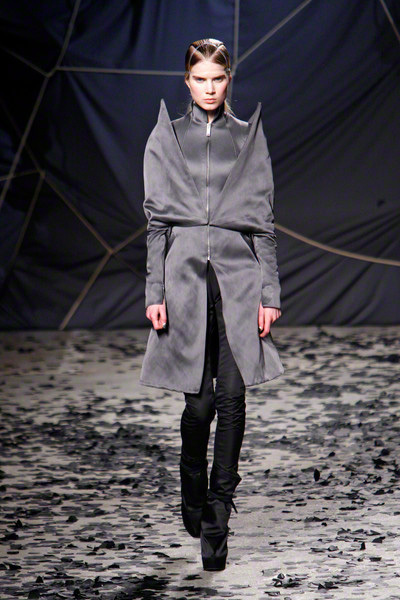 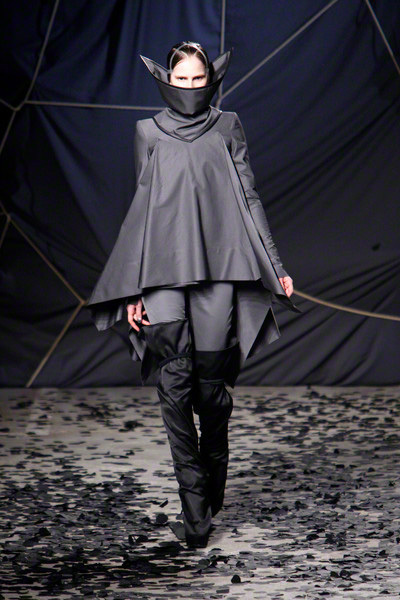 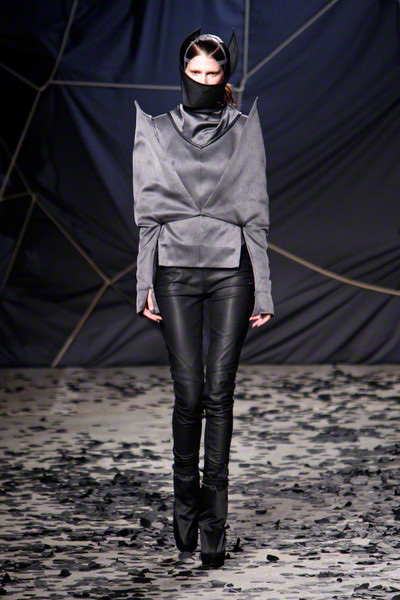 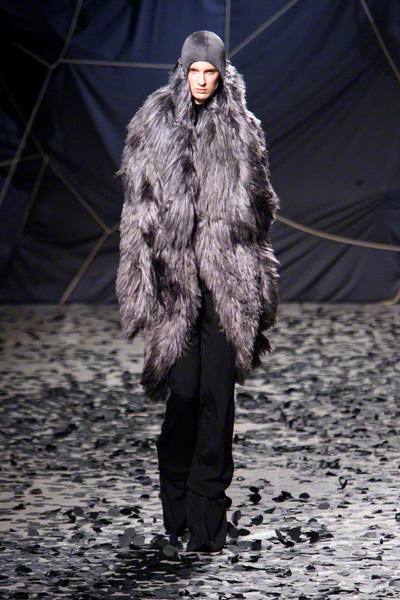 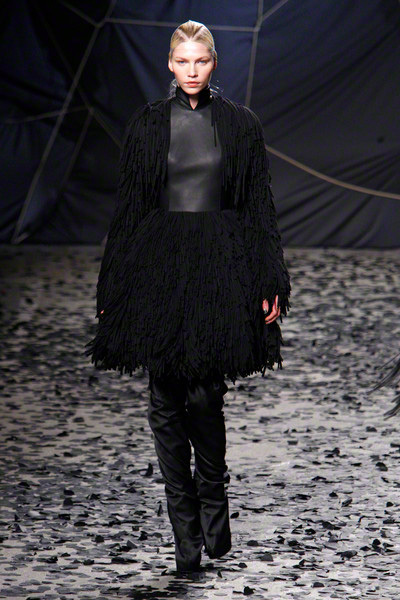 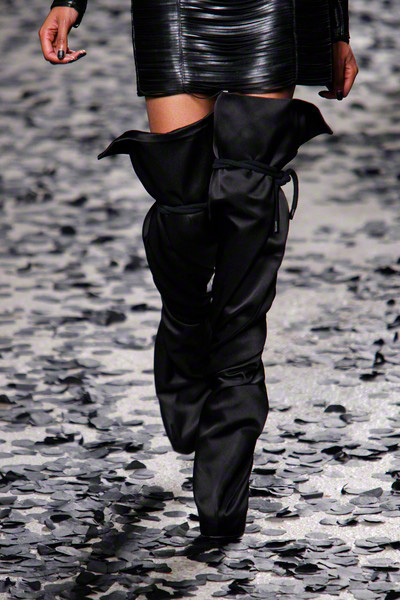 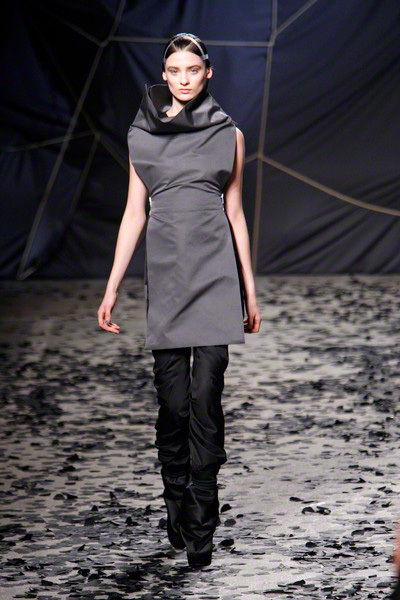 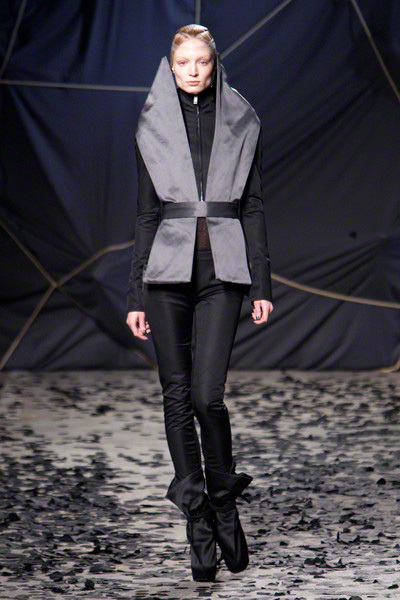 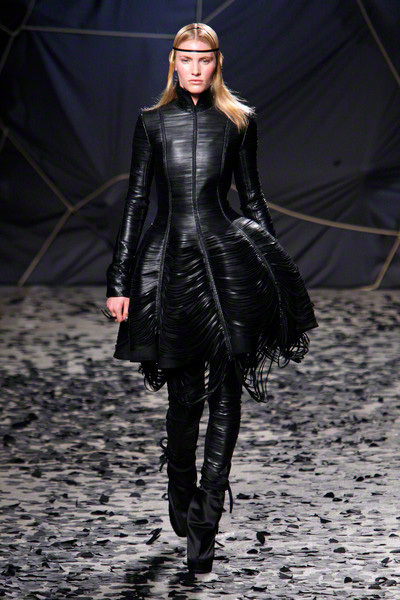 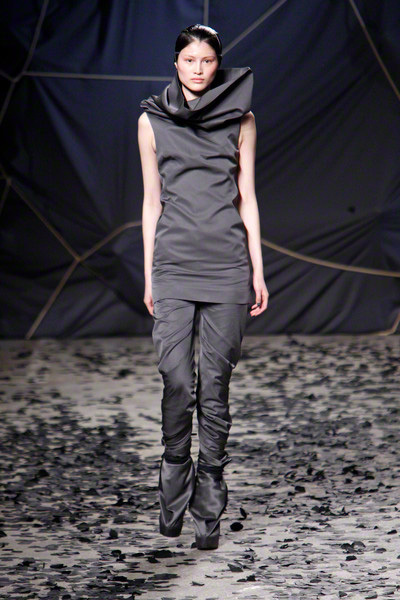 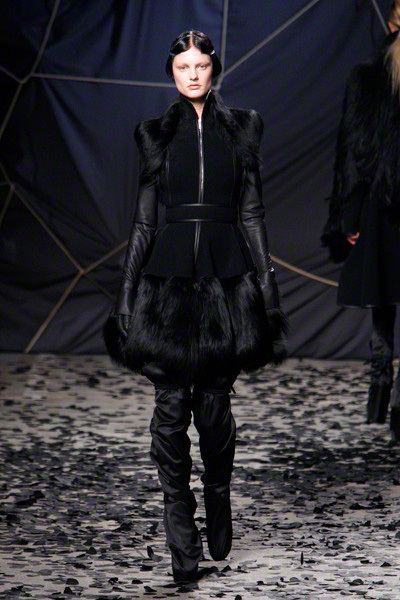 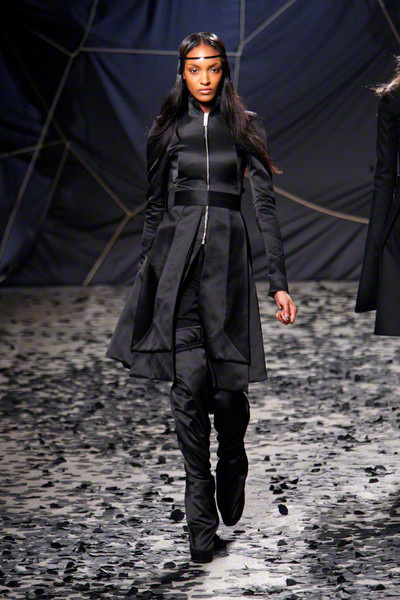 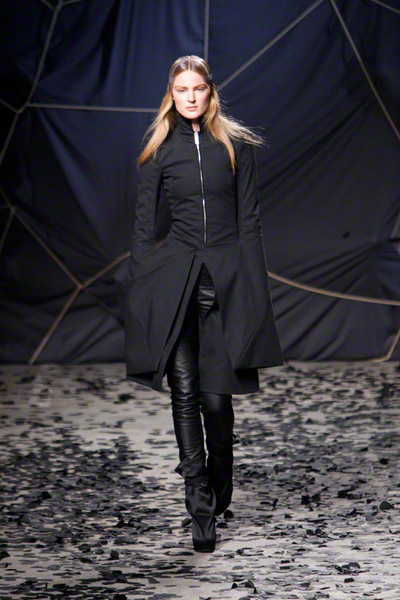 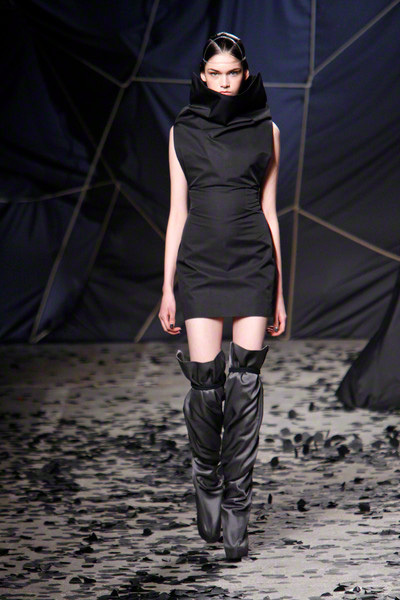 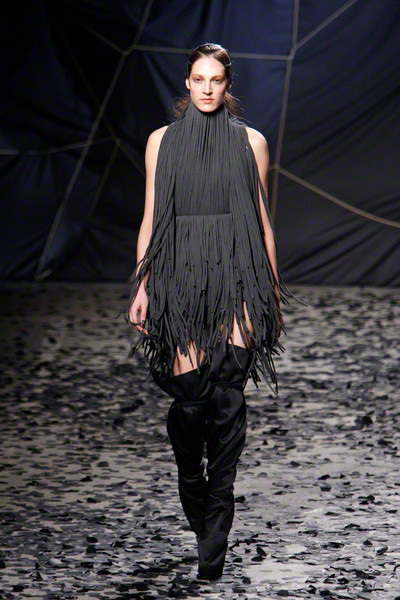 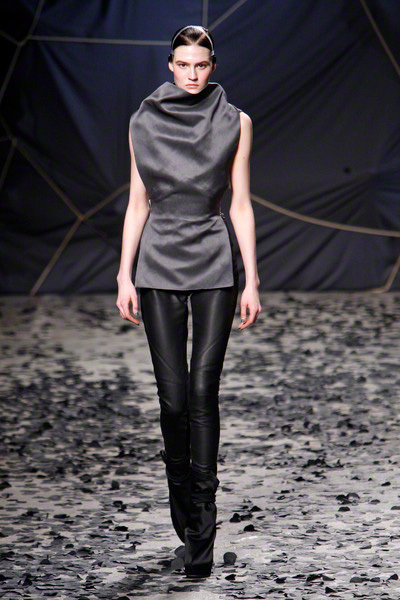 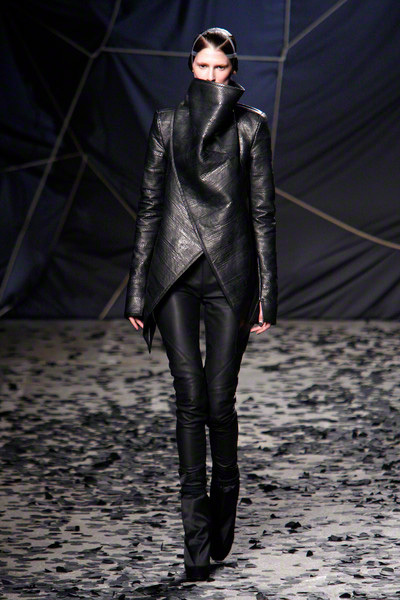 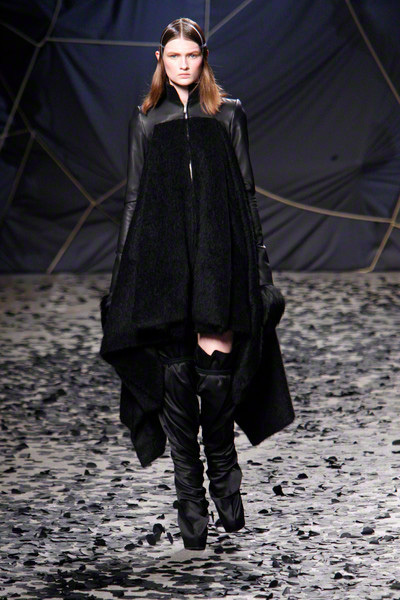 The black confetti surely gave the show of Gareth Pugh a moody edge. 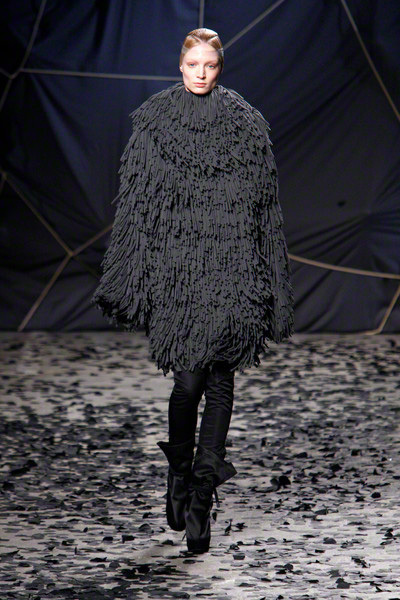 Not that he needed this, since his collections always reflect a dark, mysterious mood. 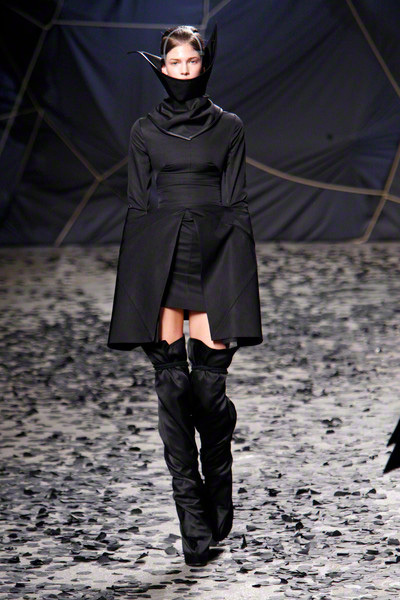 Somehow Pugh let go of his fetish looks and toned things down. 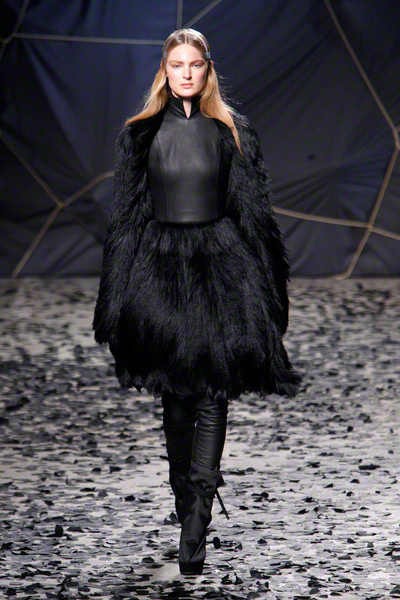 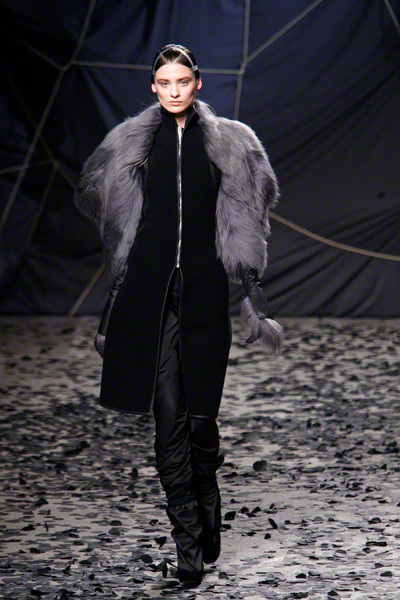 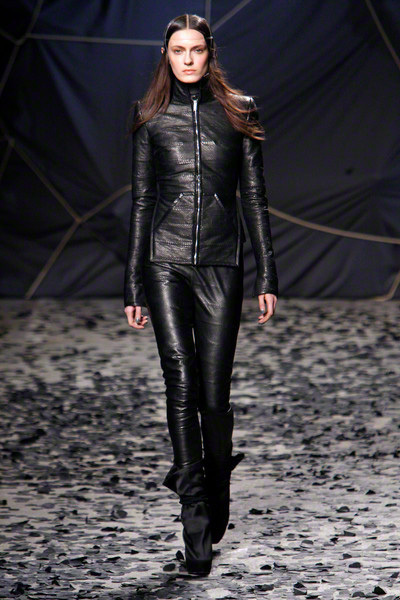 There was lots of leather, fur and a contrast of volume. 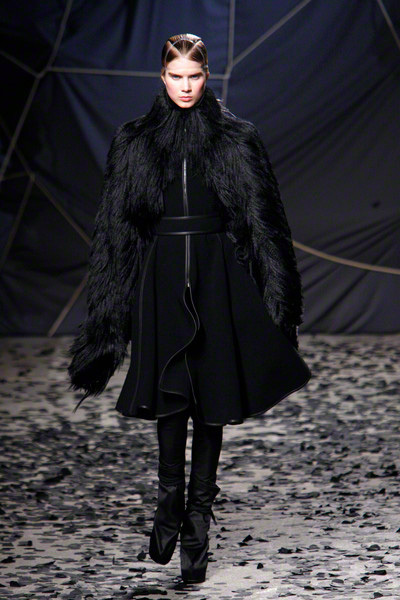 Appealing were the fuzzy black fur coat that opened the show plus the sharp-shouldered dresses with a leather bodice and a full fur skirt. 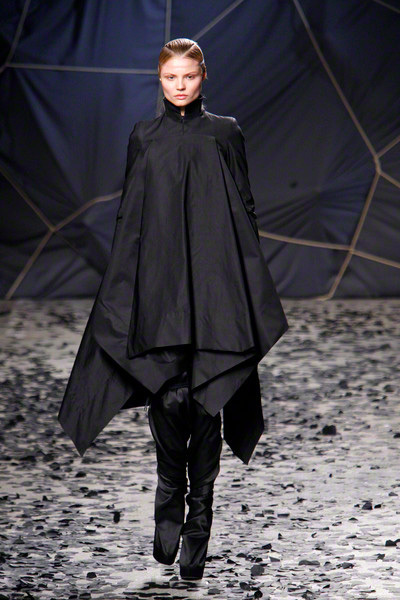 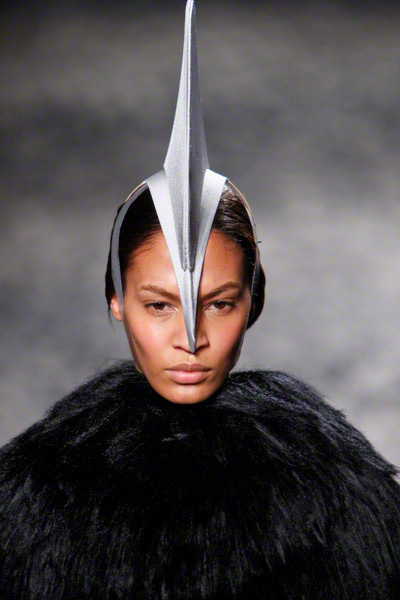 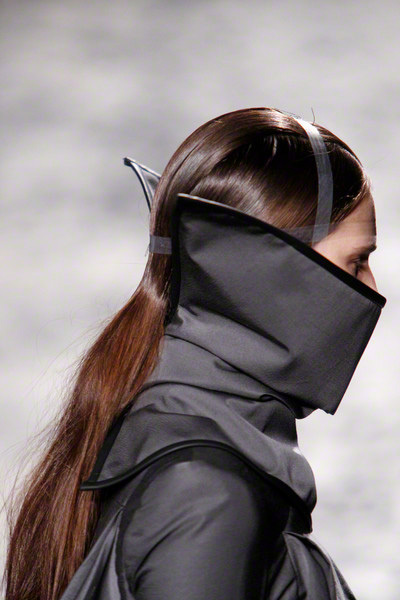 Luckily Gareth Pugh didn’t forget to put some drama ans exaggeration in his presentation, that’s what a show also is about.